Metal casting tolerances are dependent up on the type of material (or metal) being cast. The casting tolerance itself refers to the unwanted but acceptable deviation from the desired dimensions. An accurate dimension thus requires a tighter tolerance. A tolerance limit in metal casting is the limiting values between which a part's measurements must be for it to be considered acceptable. Geometric tolerance, or geometric dimensioning and tolerancing (GD & T), is a type of system used for both defining and communicating engineering tolerances. While dimensioning specifications refers to the as-intended geometry, the tolerancing refers to the allowable variation. 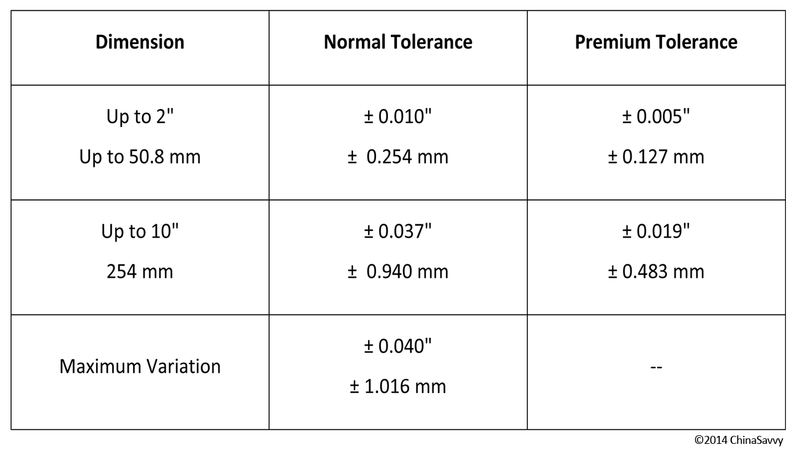 The purpose of a linear tolerance is to determine both the size as well as the location of features within the part relative to these features' specific lower and upper tolerance limits. This space between the two limits is considered the tolerance zone. The higher (or tighter ) the tolerance of a part, the higher the cost of manufacturing said part. Note: Numbers are rounded off to nearest decimal. *Please Note: These are just the lowest and highest dimension, please refer to How Precise is Investment Casting for more in-depth information. 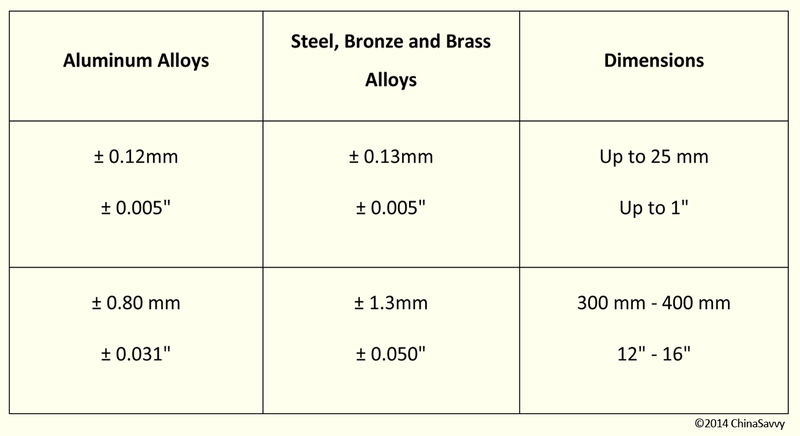 *Note: For a more in-depth look at the functional and non-functional dimensions in reference to tolerances in sand casting, please visit our Sand Casting Tolerances page. Note that these tolerances are only the basic tolerances. For more information on linear tolerances, tolerances for parting lines, flatness and tolerances for moving die parts in die casting, please visit our Die Casting page. Visit our Permanent Mold (Gravity) Die Casting Tolerances page for more in-depth information concerning tolerances in permanent mold casting.